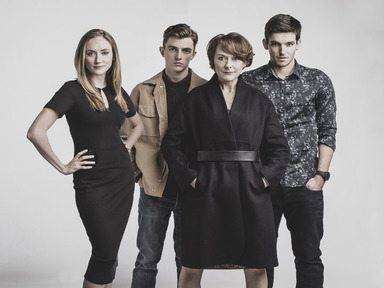 Red Rock performed exceptionally well for its second broadcast, beating long running soap Emmerdale, according to TV3. An average of 302,900 viewers watched the half-hour show on TV3 commanding a 17.5pc share of the available audience. The broadcast posted a 28.45pc share for adults 15–24 and a 24.54pc share for women ABC1. To date, Red Rock has reached a total of 711,400 viewers (includes TV3 +1 broadcasts). Last night saw the arrival of well-known actress Denise McCormack who plays the part of Kiely matriarch Bridget. And some of the soaps classic lines proved a big hit with viewers as #RedRock once again trended on Twitter. Patricia Hennessy’s cutting line “no that’s the other brick, the one we keep on the floor” to Garda Adrijan Kosos saw Twitter erupt. “It’s been a fantastic week for TV3 with a very positive start for Red Rock,” said Jeff Ford, TV3 group director of content. Red Rock continues next week, airing on Wednesday and Thursday at 8.30pm on TV3.